At any rate, Shawn started with the action hero style alien on the beer label and transformed it into something just a bit softer and yes, cuter. 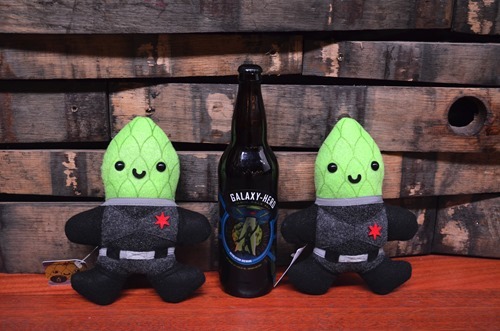 Limited to 500 pieces, the happy go lucky Galaxy Hero Plush will be available at the Shawnimals/Revolution Brewing booth [#668] for $20. If you can’t make it out to Chicago for the show, they will soon be available from RevBrew’s online shop.